Every customer has unique needs, including pickup/drop off points, pricing, notifications and options. 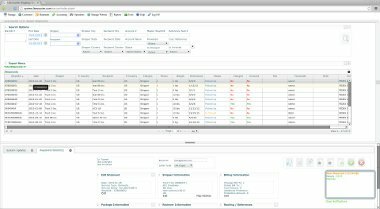 With Live Courier Software you can manage your orders easier than ever and customize the software to your needs. Shipments module includes auto complete functionality including address, phone, email and entry details as you type. Volumetric weight is calculated automatically. Multiple currencies and multiple units are supported. Conversion between currencies and units are done automatically. When using distance based service types, the distance between pickup and drop off locations are calculated automatically. The software has advanced search support with 20+ criteria. Customizable shipment exports to CSV or PDF files. 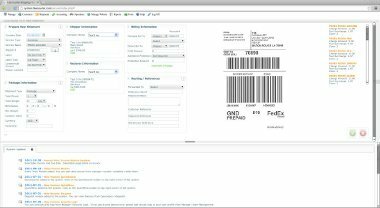 Automated shipment tracking and label creation through third party couriers including but not limited to Fedex, UPS, DHL and TNT (Currently integrated with more than 20 couriers). Print your company label or third party courier's labels with Live Courier.